A charging station at South El Monte High School. The plan, submitted July 30, 2018, to the California Public Utilities Commission, would include as many as 250 new charging ports at 40 elementary schools and another 120 ports at more than two dozen state park or beach sites. Recent state legislation authorizes investor-owned utilities like SCE to put EV charging stations at schools, state parks and beaches. SCE has been coordinating with state school and park officials to determine interest and specific site opportunities. Priority is being given to communities that are disproportionately affected by pollution and economic hardship. The approximately 370 charging stations for schools and recreation areas would be in addition to the 48,000 charging stations included in a request submitted by SCE to the commission last month to expand its popular Charge Ready program. The charging stations at the schools would serve faculty, staff, student and visitor cars; the park and beach charging stations would serve fleet, employee and visitor parking. Today’s $20 million proposal also includes funding to produce print and online educational materials about EVs for schools and to build public awareness of the availability of charging at state parks. 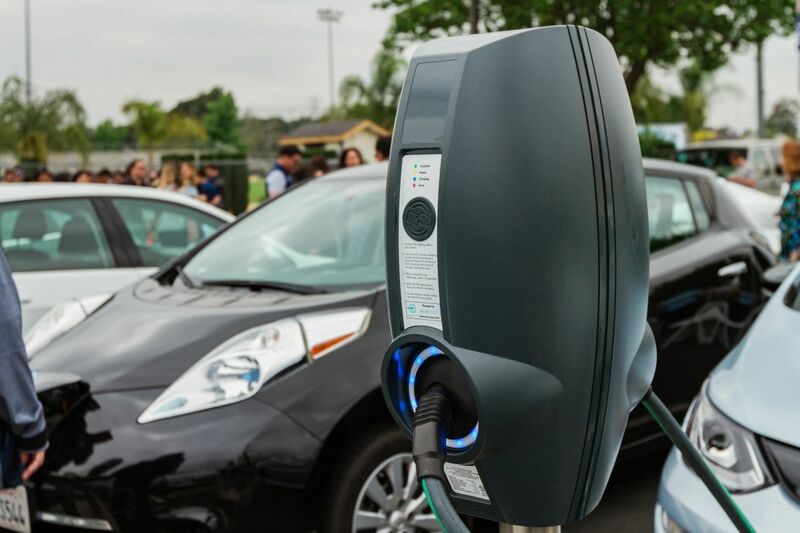 Through its Charge Ready program, SCE recently helped to install 44 charging stations at El Monte Union High School District schools. Shawn Cun, energy manager at the district, says he is already seeing the benefits of the charging stations at schools. In addition to the recently submitted EV charging proposals, SCE is also launching a number of other approved EV charging pilots and programs that support medium- and heavy-duty trucks, transit buses, port equipment and other industrial vehicles, as well as public and home-based charging for cars. More than 1,000 charging stations have already been installed throughout SCE’s service territory through the Charge Ready program.